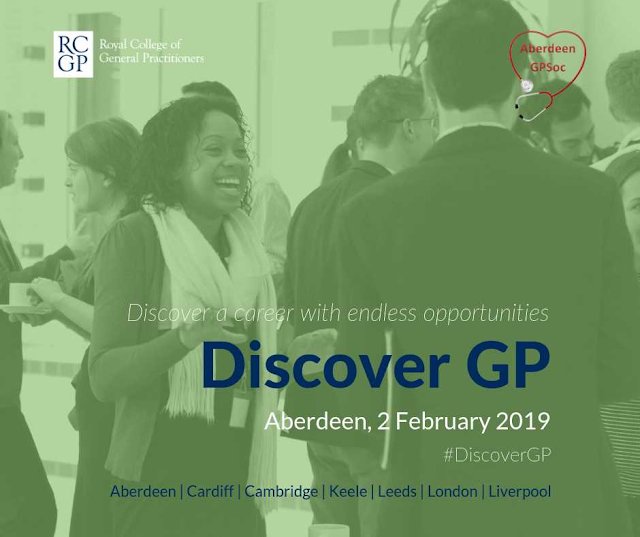 North of Scotland GP Training: 2019 Discover GP Conference - Registration now open! 2019 Discover GP Conference - Registration now open! Conference attendees will hear from GP guest speakers and will attend 4 interactive workshops of their choice, as well as enjoying free refreshments and lunch. With speakers including Dr Helen Lawal and Dr Margaret McCartney, and workshops covering a range of topics from lifestyle medicine to minor surgery, we're pretty excited about everything we've got lined up for you all. Spaces are limited, so book soon to avoid disappointment!